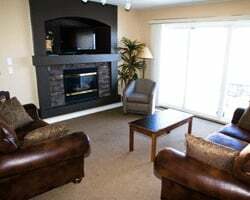 Paradise Canyon Golf Resort rests among the rolling hills of Lethbridge. Situated in the middle of one of the top courses in western Canada, the resort has been recognized as the nation's top 60 course (out of nearly 1,800). Meanwhile, the city of Lethbridte, Glacier National Park and Banff National Park are all nearby and waiting to be explored. Pick your vacation dates with 10,000 annual points! RTU in perpetuity! Inquire for details! Must sell! Make an offer. Perfect resort for golf enthusiasts! 10,000 annual points! Buyer may receive a title fee credit, inquire for details! Enjoy this fabulous golf resort or pick another VIP destination! 130,000 annual points for exchange! Rtu until 2030! Make an offer! Golf lovers paradise! Includes 100,000 annual VIP points for exchange to other applicable resorts! Make your offer! Amazing golf resort on the Oldman River! 6 banked weeks & RTU in perpetuity! Buyer may receive a title fee credit; inquire for details! Flexible ownership with 10,000 annual points at this amazing resort! Perfect for golfers and outdoor enthusiasts! Sale includes 10,000 annual points! Perfect resort for golf enthusiasts! Buyer may receive a title fee credit, inquire for details! Pick your vacation dates with two annual floating weeks! Buyer may receive a title fee credit! 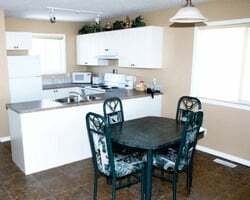 Enjoy the comforts of home in Alberta! Or exchange week for 50,000 annual points! Perfect destination for golf lovers! Inquire today! All offers will be considered! Enjoy unforgettable vacations in Canada each year! Golf lovers welcome! Buyer may receive a title fee credit! Come stay anytime you want with 10,000 annual points! RTU in perpetuity! Inquire for details! 10,000 annual points! Enjoy maximum flexibility with your ownership! Buyer may receive a title fee credit, inquire for details!